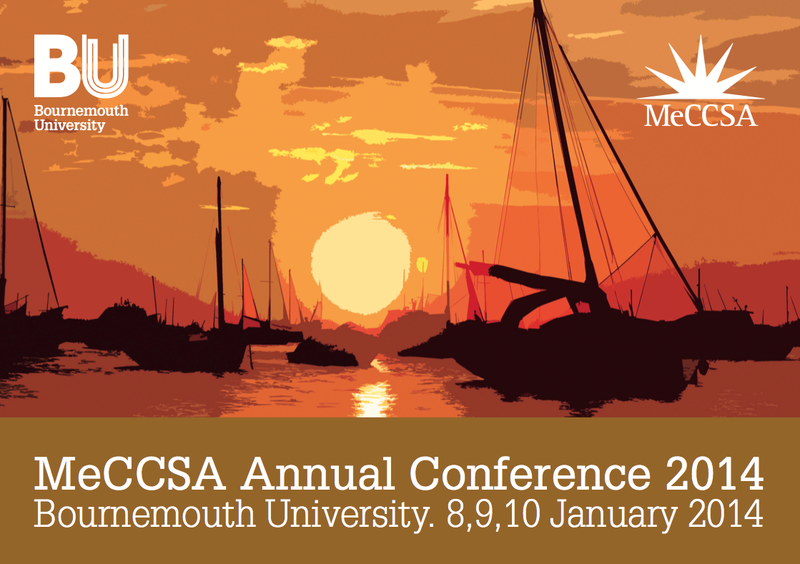 The MeCCSA Conference in 2014 will be hosted by the Media School at Bournemouth University from Wednesday 8th January to Friday 10th January, 2014. The Media School at Bournemouth University has a reputation as a centre for excellence in media practice, research and education. It is home to the Bournemouth Skillset Media Academy, hosts the UK’s only Centre for Excellence in Media Practice, and in 2012 was awarded the Queen’s Anniversary Prize for its outstanding contribution to computer animation. The theme of the 2014 MeCCSA conference is ‘media and the margins’, the engagement of marginalised and minority groups with the media. 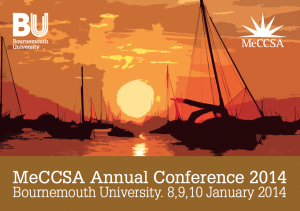 We welcome scholarly papers, panels, practice contributions, film screenings, and posters across the full range of interests represented by MeCCSA, its networks, and on our broad theme of ‘media and the margins’.